Happy Memorial Day everyone! I hope you were able to enjoy the long holiday weekend while remembering those who served our country. I was working some of the weekend, but was still able to enjoy some sunshine and spend time with family and friends. Lately, I have been consciously trying to make healthy swaps in my diet that don’t compromise taste. A few weeks ago I purchased the Vegetti and I have been using it to make zoodles (zucchini noodles) in place of pasta in multiple recipes. The Vegetti is user and budget friendly and can turn multiple vegetables including zucchini, sweet potatoes, or carrots into noodles. 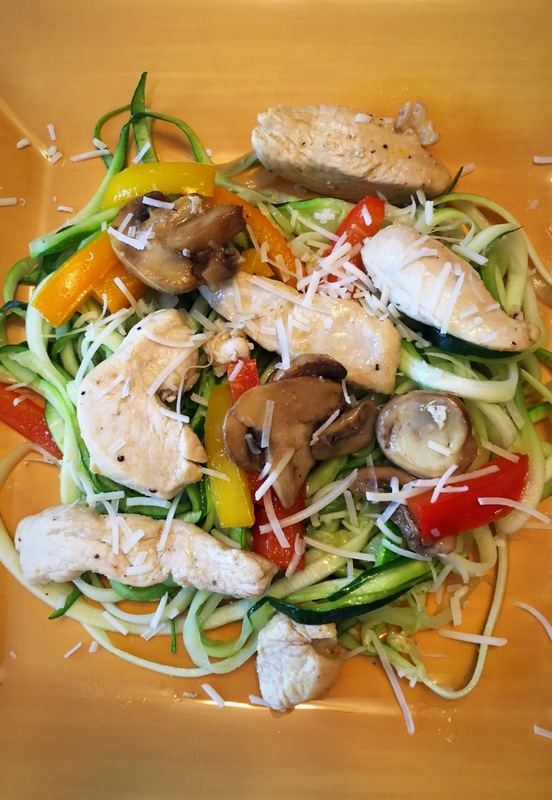 I wanted to share one of the recipes I made last week with zoodles. My dad used to make this recipe often and I was craving it, but didn’t want the carb load from the pasta. So without further ado, here is the recipe, enjoy! 1.Begin by cutting chicken into small strips. Cook chicken in olive oil coated pan on medium until cooked through. Season with garlic pepper, pepper, and salt while cooking. 2. 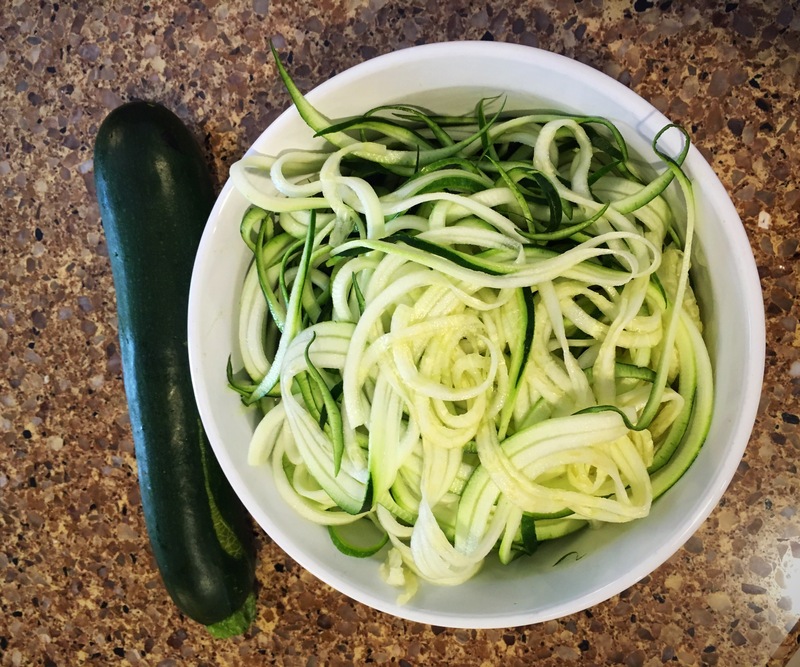 Using the Vegetti, turn the zucchini into zoodles. I used the thick setting for this dish. Set aside. 3. Cut peppers into small strips. When chicken is done cooking, remove from pan and set aside. After adding more olive oil, cook peppers and mushrooms. 4. 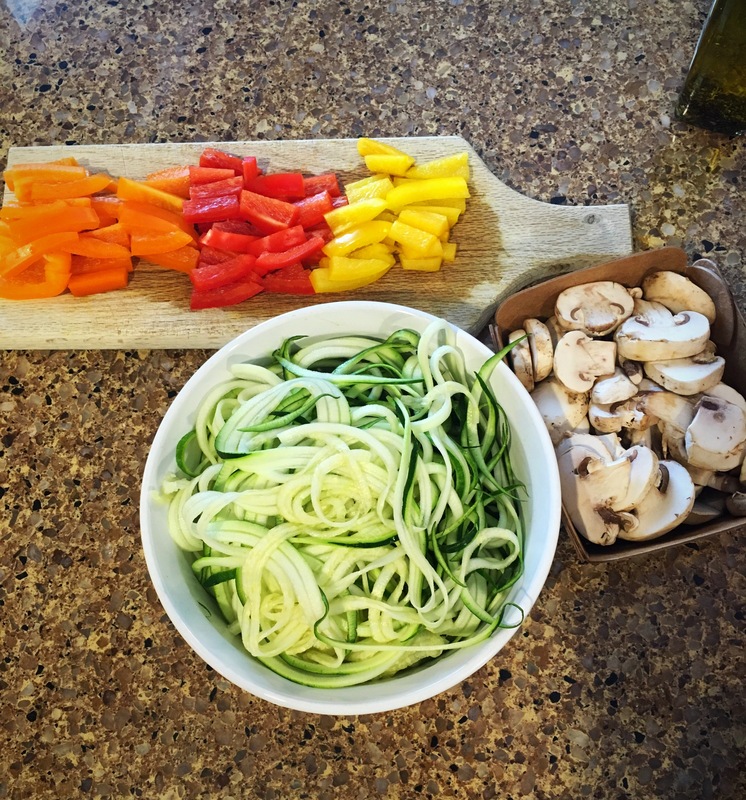 While peppers and mushrooms are cooking in one pan, use another pan coated with olive oil to cook zoodles on medium. Season with salt and pepper and turn zoodles regularly to ensure all zoodles are cooked evenly. 5. 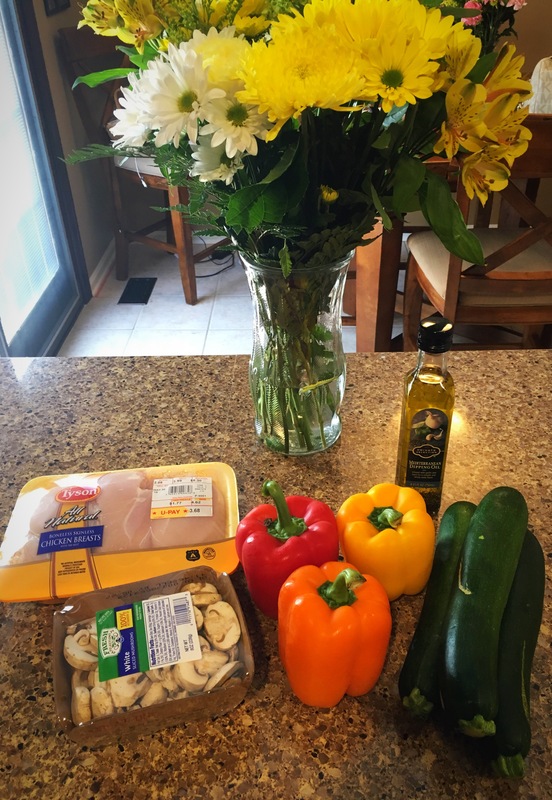 When veggies are done cooking, replace chicken back into pan with peppers and mushrooms and heat while zoodles finish cooking. 6. Finally, top zoodles with chicken and veggie mixture. Drizzle with desired amount of Mediterranean dipping oil and top with romano cheese. I hope you guys enjoy this recipe as much as I did! What is your favorite vegetable noodle recipe? I would love to add more recipes to my collection! Have a great week!